Towards an Encyclopedia of Local Knowledge is an ongoing collaborative art-and-knowledge project that exists in multiple forms, this website being one. It also exists as unbound printed panels or “pages” in community-owned boxed sets and will soon exist as a hard-covered book of “excerpts”. 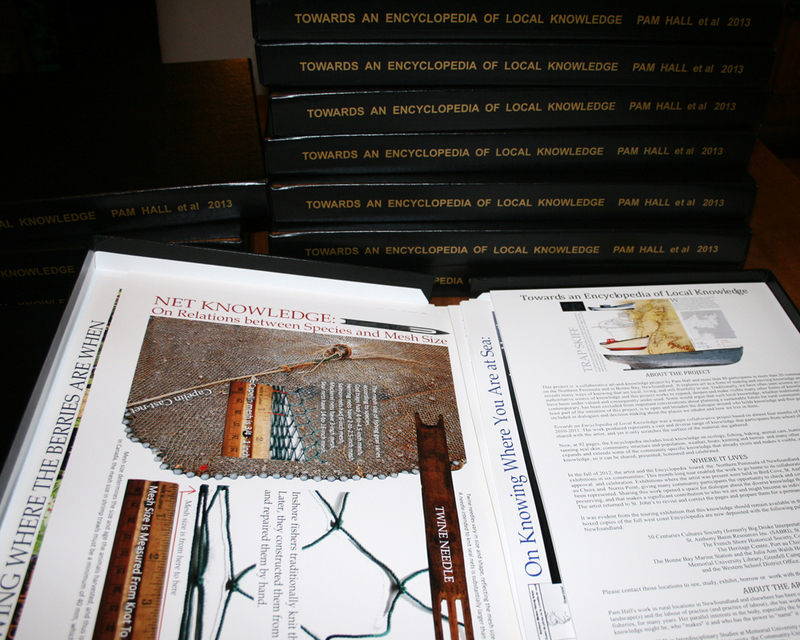 The Encyclopedia project recruits art, community collaboration, and place-based research as a way of making and moving knowledge that is often never documented in ways that can be shared. While some practices in these pages might be threatened with loss or forgetfulness, for now all the ways of knowing in these pages remain lively, living, and still fruitfully in use. They testify to the resilient and embodied nature of how we know with our hands and our memories, and our embedded experiences in specific environments. These pages belong to the knowledge-holders who shared the how and where and when and what of their knowledge with me during my extended visits to their communities. I am grateful for their generosity, their guidance and for what each one of them has taught me. It is a privilege to reveal a small fragment of this local knowledge in a way it can be preserved, shared and brought into conversations about how we inhabit our places and who must be included in imagining sustainable futures in a more-than-human world. Chapter 1: Northern Peninsula and Bonne Bay was a major collaborative project based on almost four months of field work in 2010-2011. 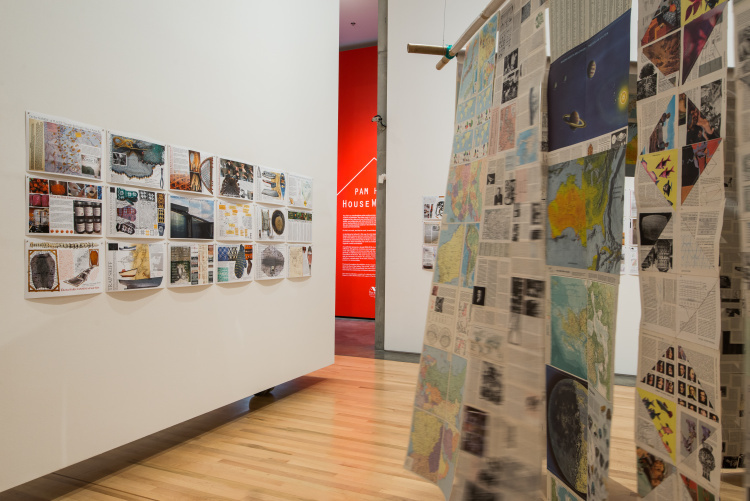 The work produced represents a vast and diverse range of knowledge that participants from school children to elders shared with the artist, and yet it only scratches the surface of the material she gathered. 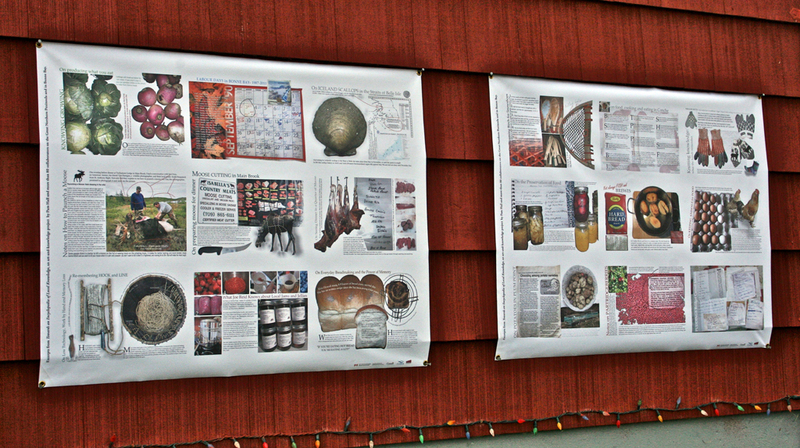 At 92 pages, the Encyclopedia includes local knowledge on ecology, fishing, baking, animal care, hunting and trapping, tanning seal skin, community structure and population, weather, boats, knitting and berries and many other things. It builds on, expands and extends some of the community-specific knowledge that already exists and makes it visible, alongside new knowledge, so it can be shared, presented, honoured and celebrated. In the fall of 2012, the artist and the Encyclopedia toured the Northern Peninsula of Newfoundland and presented public exhibitions in six communities. This month-long tour enabled the work to go home to its collaborating “co-authors” for feedback, approval and celebration. 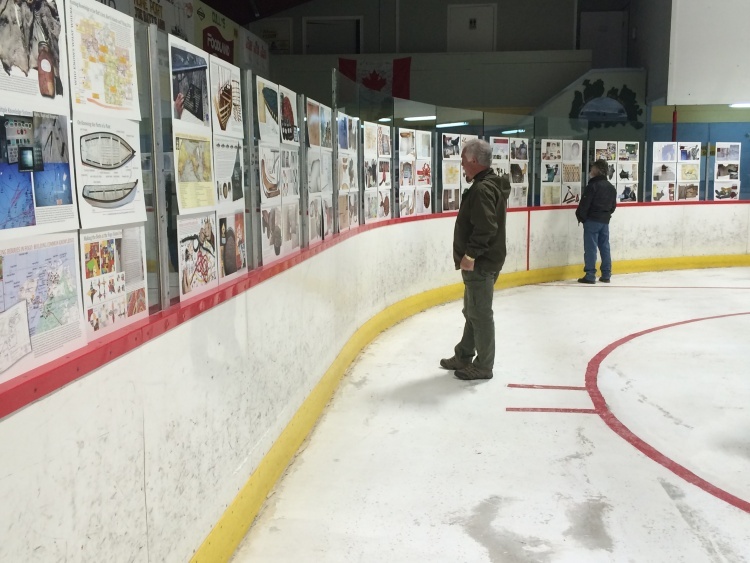 Exhibitions where the artist was present were held in Bird Cove, St. Anthony, Conche, Main Brook, Port au Choix and Norris Point, giving many community participants the opportunity to check and correct how their knowledge had been represented. 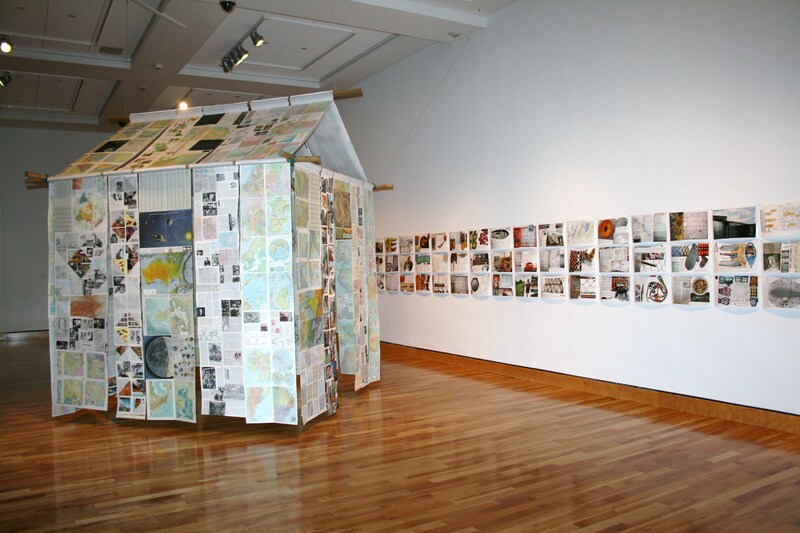 Sharing this work opened a space for dialogue about the diverse knowledge that lives in rural places, that needs preserving, and that makes a significant contribution to who we are and might become as individuals and communities. The artist returned to St. John’s to revise and correct the pages and prepare them for a permanent life back in rural Newfoundland. Please contact those locations to see, study, exhibit, borrow or work with this material in your community, area or school. You can find more information about Chapter 1 on the Community – University Research for Recovery Alliance website. Chapter II: Fogo and Change Islands is based on three months of research in the twelve communities on the two islands and reveals some of the place-based knowledge shared by more than 70 collaborators there. In 75 pages or panels, it reveals local knowledge on ecology, fishing, baking, food preservation, animal care, hunting, weather, punt-building, knitting, gardening, textile practices and foraging for berries and many other things. It builds on some of the community-specific knowledge that has already been gathered and makes it visible, alongside newly gathered local knowledge, so it can be shared, presented, honoured and celebrated. 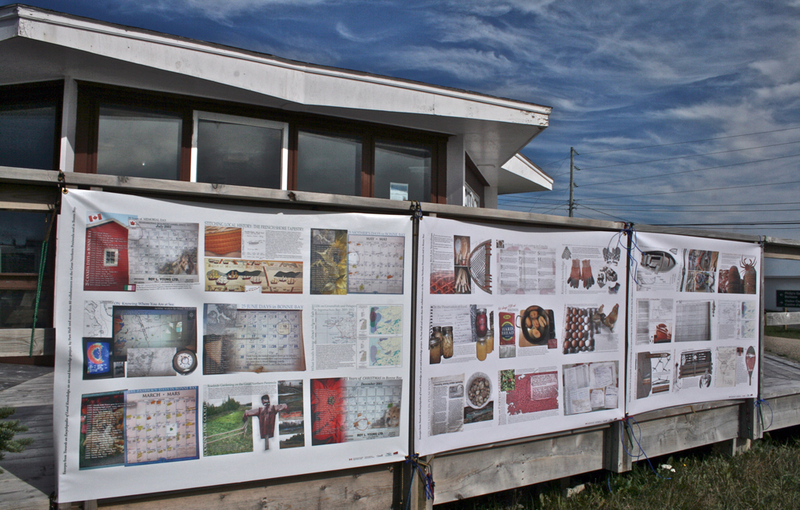 In May, 2015, the artist returned to Fogo and Change Islands to share the draft Encyclopedia pages with community collaborators. Public presentations of the draft were held in Change Islands, Seldom, Fogo, Fogo Central, Joe Batt’s Arm, and at the Fogo Island Inn. Participants were invited to check, revise and correct how their knowledge had been revealed and this input informs the final draft. 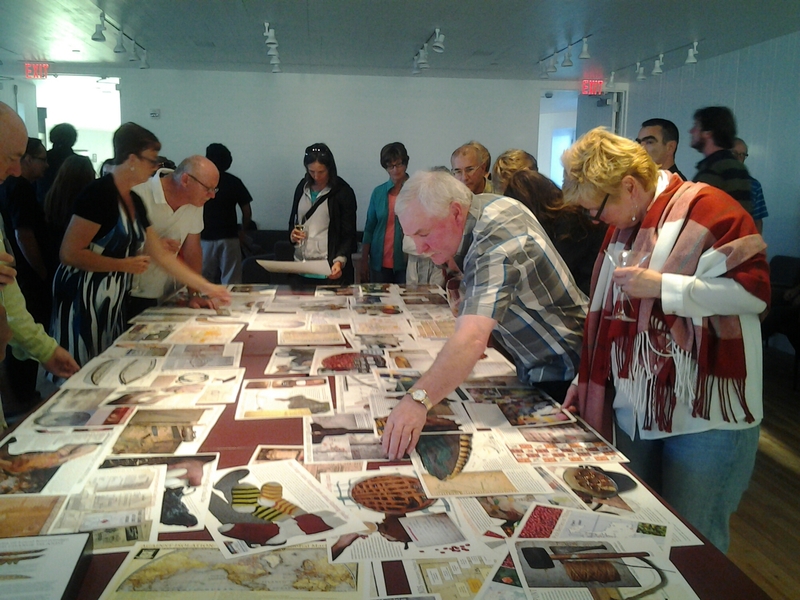 Sharing the work opened a space for dialogue about the diverse knowledge that lives in rural places and that makes a significant contribution to who we are and who we might become as individuals and communities. The artist returned to St. John’s to revise and correct the pages and prepare them for a permanent life back in rural Newfoundland. Like the first version of the Encyclopedia, this second “chapter” now lives in the communities from which it emerged. Copies are owned by the Town of Change Islands, the Town of Fogo Island, and the Shorefast Foundation, which holds its copy in the library of the Fogo Island Inn in Joe Batt’s Arm. Additional copies are located at Queen Elizabeth Library of Memorial University in St. John’s in the Centre for Newfoundland Studies, and in the library of the Sir Wilfred Grenfell Campus in Corner Brook. Please contact those locations to see, study, exhibit, borrow or work with this material in your community, area, school or museum. In 2017, Excerpts from Chapters 1 & 2 were published by Breakwater Books and ISER Books at MUN. 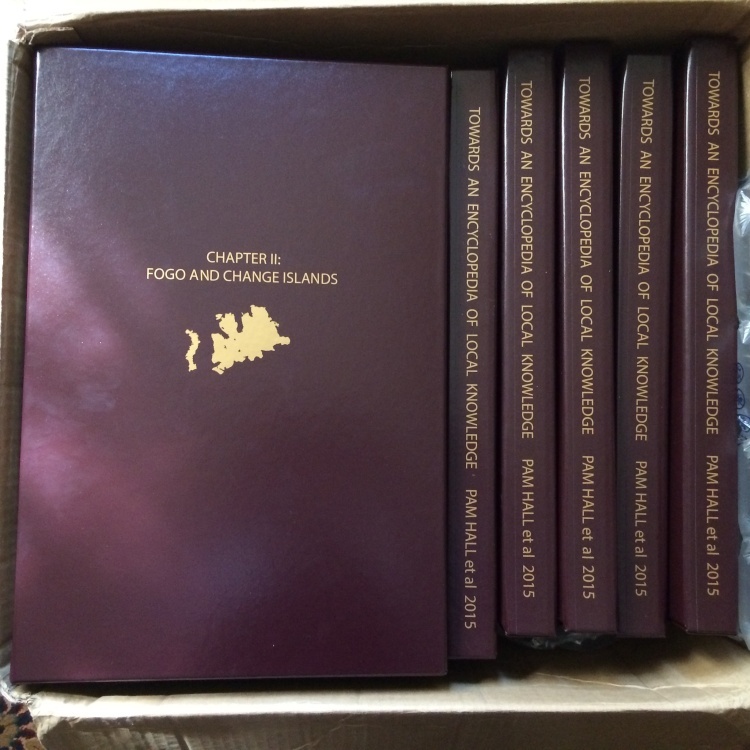 The book can be purchased at most bookstores in Newfoundland, or from Breakwater Books. 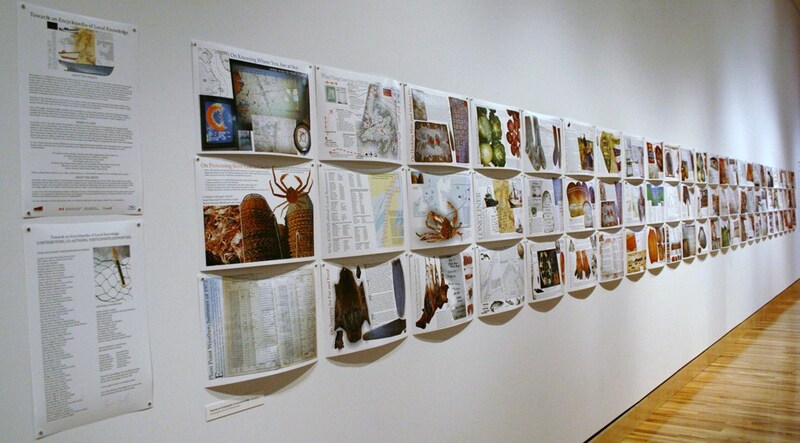 Pam Hall’s work in rural locations in Newfoundland and elsewhere has been ongoing since the late 1980s. Drawn deeply to place and to the labour of practice (and the practice of labour), she has worked with and around rural knowledge-holders, especially in the fisheries, for many years. Her parallel interests in the body, especially the female body, have also provided sites for her exploration of what knowledge might be, who “makes” it and who has the power to “name” it as knowledge and thus provide the basis for its value. 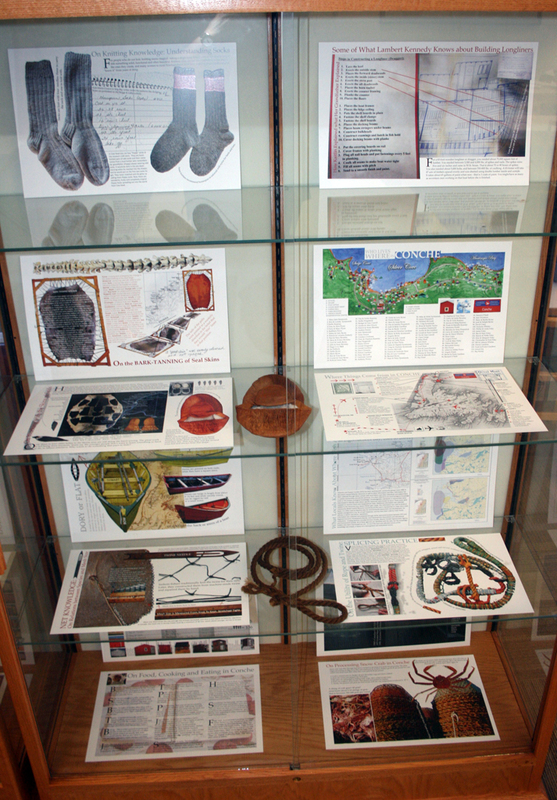 This project was the central work of Hall’s tenure as the Inaugural Public Engagement Postdoctoral Fellow at Memorial University of Newfoundland. The Fellowship was supported by Memorial’s Faculty of Arts, the Office of Public Engagement and by the Shorefast Foundation on Fogo Island. This research and creation was profoundly influenced and generously supported by the residents of Fogo Island and Change Islands who shared their time, their knowledge and their hospitality. 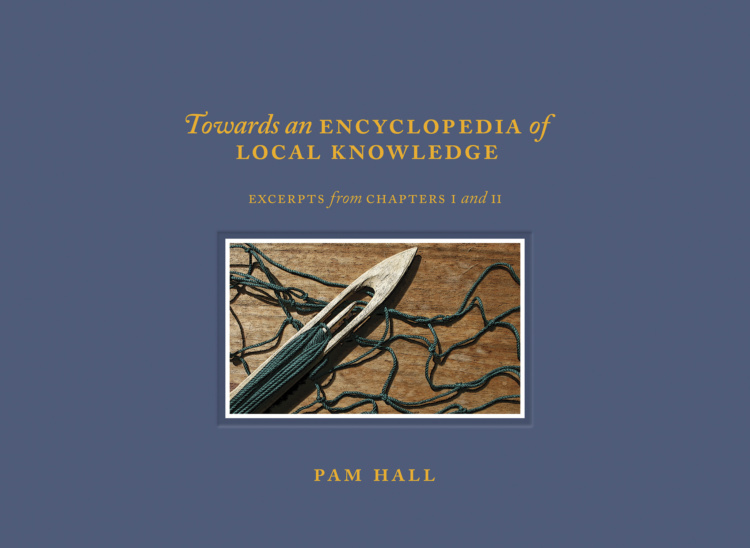 Pam Hall’s Ph.D. thesis is available online: Recruiting the visual: knowing our commonplace towards an encyclopedia of local knowledge. 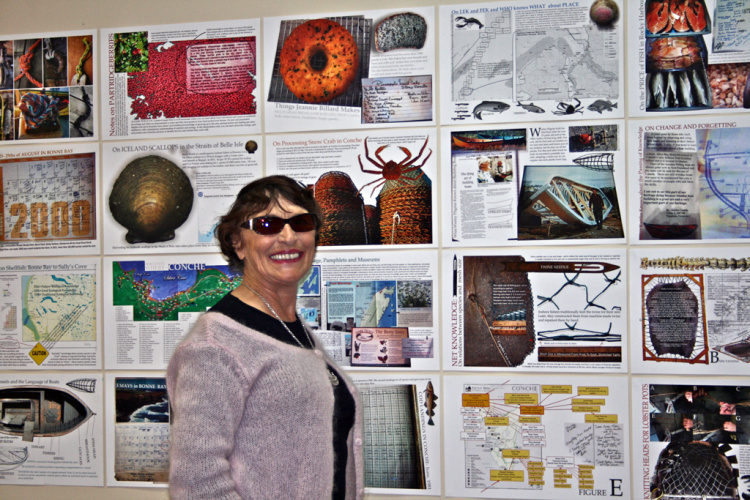 For more information on Pam Hall and her work, or to contact her about this or other projects, please visit www.pamhall.ca.